Leave the chaos of busy cities and crowded streets behind and welcome to jungle. 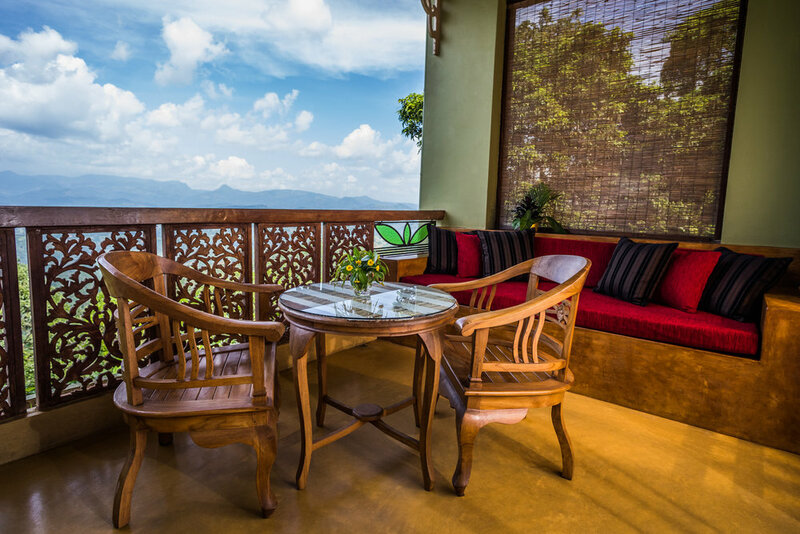 Galavilla Boutique Hotel is located in the Central Province of Sri Lanka, 17.5 km (50 minutes) from the central old king‘s capital Kandy and overlooking the Knuckles mountain range, a part of the Hill Country. The way to our hotel leads through beautiful mountains, there is no busy highway. Nevertheless, a less-than-an-hour long drive from Kandy will bring you to a place wonderfully combining comfort with nature in the middle of a jungle. The only sound you will hear is the relaxing breeze allowing your mind to fully enjoy the calming rhythm and flavorful melody of the mountain nature. Galavilla is more than just a hotel. Let us show you around and convince you. Sri Lanka offers beautiful nature, sights and relaxation on long beaches, as well as breathtaking views and locations in the mountains, which might even surprise you. Our hotel is located in one of these areas. You can relax and enjoy the lovely views in a pleasant climate directly from the terraces of our hotel rooms and the hotel restaurant. Take your time to enjoy Ayurveda massages, our big swimming pool, outdoor Jacuzzi and an endless number of walk options. Our gardens and the surroundings of our hotel are full of beautiful trees and flowers, fruits, and vegetables, spices and teas, growing in their natural environment.